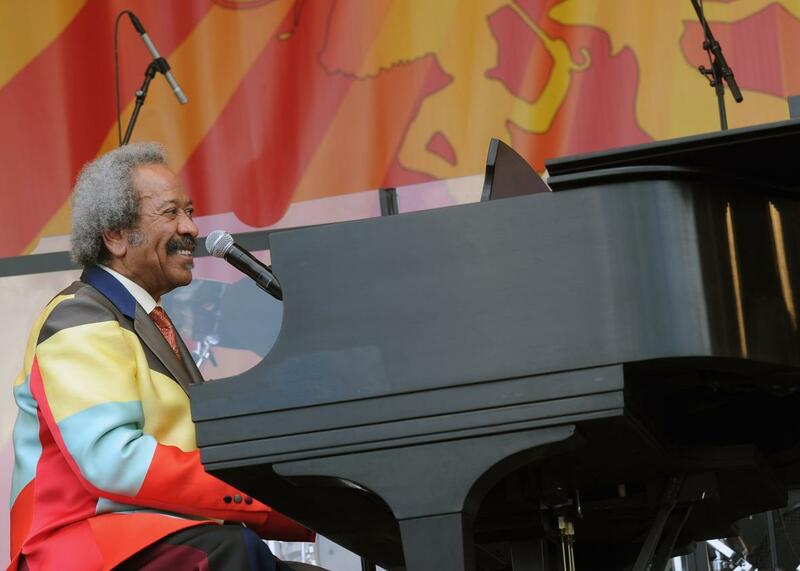 Allen Toussaint, dead at 77: “Yes We Can Can” is the song that says it all. Now is the time to join the second line for Allen Toussaint, who died of a heart attack on Monday. Allen Toussaint died on Monday at age 77, leaving behind one of the most distinct and richly cosmopolitan legacies in modern American music. Toussaint was New Orleans to the core, as fundamental to the musical history of that city as Louis, Irma, Booker, and Weezy, and no one was more deft at alchemizing the musical uniqueness of that city into pop brilliance. Toussaint wrote hits like “Working in the Coal Mine” and “Mother-In-Law,” arranged horns for the Band, produced “Lady Marmalade” for LaBelle. His generosity and gifts for collaboration were legendary, whether working with NOLA legends like Dr. John and the Meters or British rock luminaries like Paul McCartney and Elvis Costello. Toussaint was an ambassador for his city and its bottomless cultural gifts, an evangelist in the best sense. His death is an immense loss, and tears will be rightly shed in New Orleans and pretty much everywhere else (he was on tour in Spain when he died). But I think he’d rather we focus on the second line. I can’t think of a better eulogy for Toussaint than his own incredible composition “Yes We Can Can,” a song that turns slogan into poetry into funky, intoxicating incantation. On an average day I rank “Yes We Can Can” with “We’re a Winner,” “Everyday People,” and “You Haven’t Done Nothin’” in the annals of politically upright, irrepressibly exuberant American song. Today is not an average day, though, and at this moment I’d probably vote for it to replace the “Star Spangled Banner” as the U.S. national anthem. “Yes We Can Can” was first recorded as “Yes We Can” by the great Lee Dorsey in 1970 and made into a hit by the Pointer Sisters in 1973, by which point an extra “Can” had been added to the title (perhaps a sly nod to the French dance craze that scandalized the 19th century). “Yes We Can Can” is a “message” song you can dance to, righteous without being self-righteous, insistent—undeniable, even—without being preachy. A lesser writer would have made the song’s pre-chorus, “Make this land a better land/ for the world in which we live,” into its chorus and left it at that. Toussaint was not a lesser writer, and a few moments later rolls out one of the greatest choruses ever written: “Oh yes we can I know we can can yes we can can why can’t we if we want to yes we can can,” followed by “oh yes we can I know we can can yes we can great gosh almighty yes we can I know we can can.” On the page those words look like Gertrude Stein scribbling an inspirational poster; in the mouth of a great singer they’re nothing short of magical, sliding and skipping in between beats, dancing on lips and tongue, language reimagined as groove. Both Dorsey’s and the Pointers’ versions of “Yes We Can Can” are funk masterpieces, boasting rhythm pockets so seductive, it takes a good 45 seconds for anyone to even start singing over them, because why mess them up with words. But it’s Toussaint’s own 2005 recording of “Yes We Can Can,” cut for a post-Katrina benefit album, that most poignantly reveals the song’s extraordinary moral soul. The first sounds we hear are Toussaint alone, intoning the song’s opening words—“Now is the time”—almost at a whisper, as though conveying some urgent secret. Bass and drums come in, but unlike in the aforementioned versions, we get a scant few seconds of instrumental intro—Mr. Toussaint has things to say, and places to be. There’s a near-impossible elegance to Toussaint’s performance, which is to say that it’s entirely characteristic. His vocal is graceful, warm, almost conversational, his piano playing bubbling and popping underneath. About halfway through he takes a solo, and it’s a stunning combination of infectious melody and rhythmic intricacy. That solo alone feels like some perfectly exquisite love letter to New Orleans. On the song’s outro Toussaint joins with the backup singers in chanting the chorus, the blessed community now enfolding everyone: a song about changing the world has never sounded so intimate, so inviting, so irrefutable. The song comes to a close on a final “yes we can can,” and now it’s over, and we’re playing it again, because how can we not? Besides, the words Allen Toussaint deserves to be remembered by are back at the beginning: Now is the time.